To buy online, look to the right of each plant page and there will be a list of online suppliers. Click here for our full list of plants. 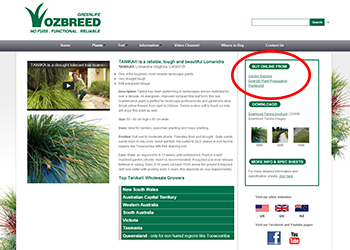 This new feature makes comparing and selecting plants from Ozbreed easier. 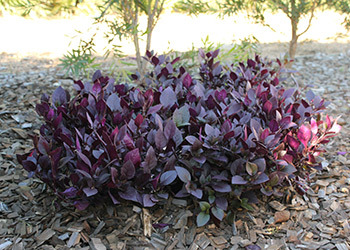 Each plant has basic information such as its size, uses and position. Click here to find out more about Little Ruby. Have a look at our landscape gardening articles for different tips, ideas and gardening advice. Click here. Click here to see our retail range of plants suited to home use.